Located in Sandstone, Minnesota – we are just 2 minutes from Robinson Park and the Sandstone Ice Park. 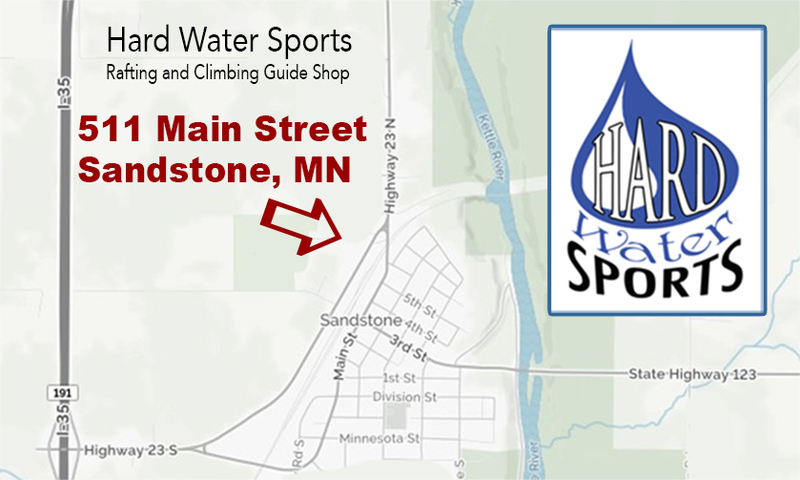 In the fall of 2016 Hard Water Sports moved our base of operations to the friendly, small town of Sandstone, Minnesota. This made us closer to the climbing in Robinson Park, and to the Kettle River for the rafting side of our guide service. For an outdoor rock climbing guide or a Minnesota ice climbing guide, contact Hard Water Sports – rafting and climbing guide service. We offer “year round” Minnesota guided outdoor climbing adventures. With our new location and the easy access to climbing we have added ice climbing gear rental to our services.